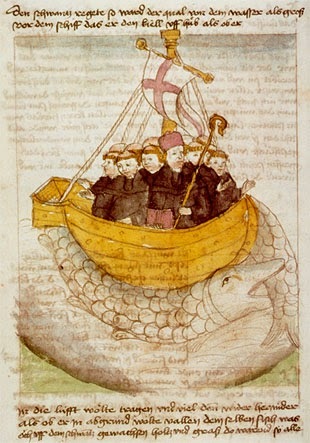 In the 6th century AD, St. Brendan, an Irish cleric, and eighteen other monks, sailed out from Ireland to cross the ocean. Amidst their journey, they came upon a black, treeless island and decided to make camp for the night. Several monks set up a cooking station and lit a fire. And then the island began to move. Terrified, the monks fled back to their boat, leaving the food and fire behind. St.